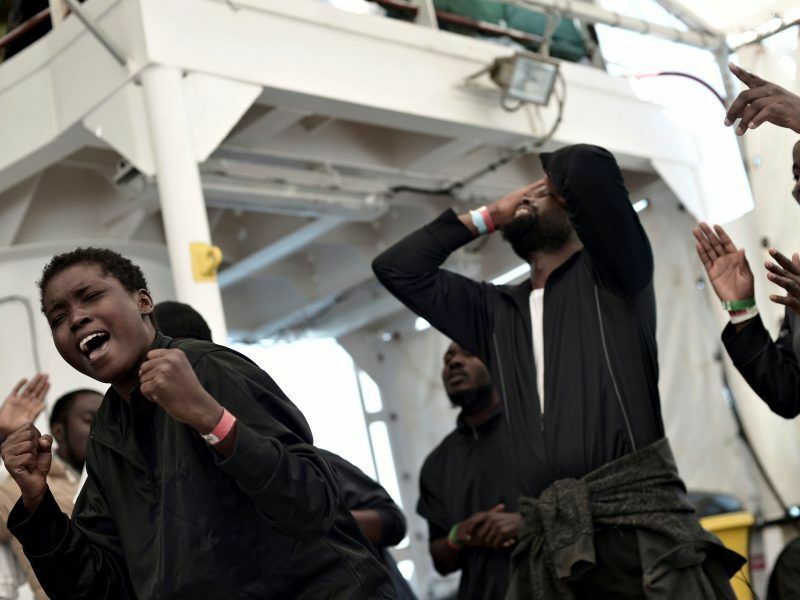 Almost half of the 630 migrants that were rescued from the Mediterranean and arrived in Spain’s port of Valencia at the weekend want to seek asylum in France, the Spanish government said yesterday (18 June). 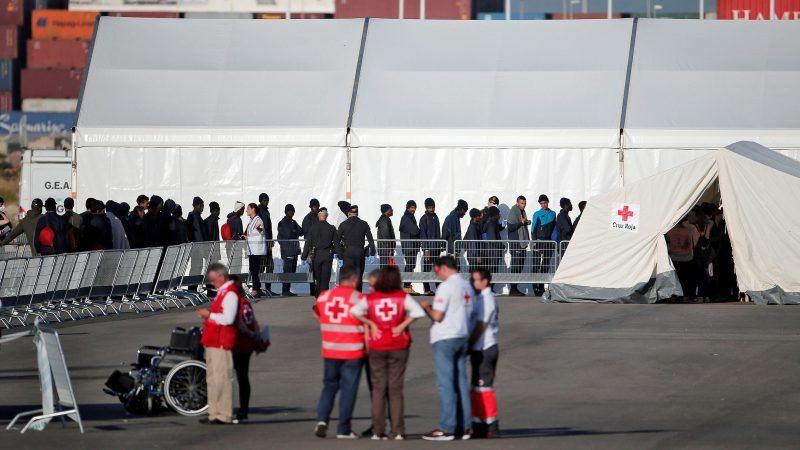 “Almost half the migrants have shown their willingness to seek asylum in France, which offered to welcome some of the people travelling on the ship,” Spain’s new socialist government said in a statement. The Aquarius, run by French charity SOS Mediterranée, rescued them off Libya’s coast on 9 Juneand Italy and Malta’s refusal to let the ship dock led to an international outcry before Spain stepped in to help. Madrid on Saturday said it had accepted an offer from France — who had angered Rome by branding it irresponsible — to welcome Aquarius migrants who “meet the criteria for asylum”. France will examine asylum requests from Aquarius migrants who want to come over from Spain on a “case-by-case basis”, government spokesman Benjamin Griveaux said Sunday, adding it was “impossible” to know how many will arrive. A majority of the French public, 56%, back the government’s decision, an opinion poll released Monday showed. In Spain the migrants were granted authorisation to remain in the country for 45 days while each individual’s legal case is studied. While several European Union nations have adopted a harder line against refugees, Spain’s new Socialist government has announced a series of measures to help migrants since it came to power earlier this month, in a break with the policies of its conservative predecessor. Last week the government said it would restore public health care to foreigners without residence permits and said it wants to remove the barbed wire that tops the border fences of Ceuta and Melilla, the two Spanish enclaves in North Africa. 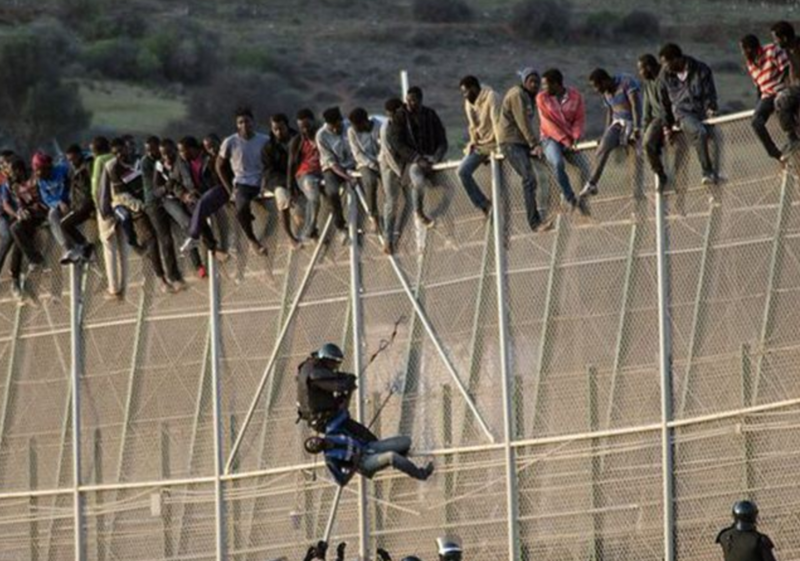 Those fences are often stormed by migrants trying to reach Spanish territory from Africa. Traditionally a nation that sent immigrants abroad, Spain is one of the European Union’s most tolerant when it comes to immigration, according to an October 2017 Eurobarometer survey carried out for the European Commission. It found that only 26% of Spaniards feel the arrival of immigrants from outside of Europe is “mainly a problem”, compared to an average of 38% in the entire European Union. The Spanish coast guard said it rescued over 1,400 migrants between Friday and Sunday who were trying to reach Spain, the third busiest gateway for migrants into Europe after Italy and Greece.